“Oh, where do I begin! 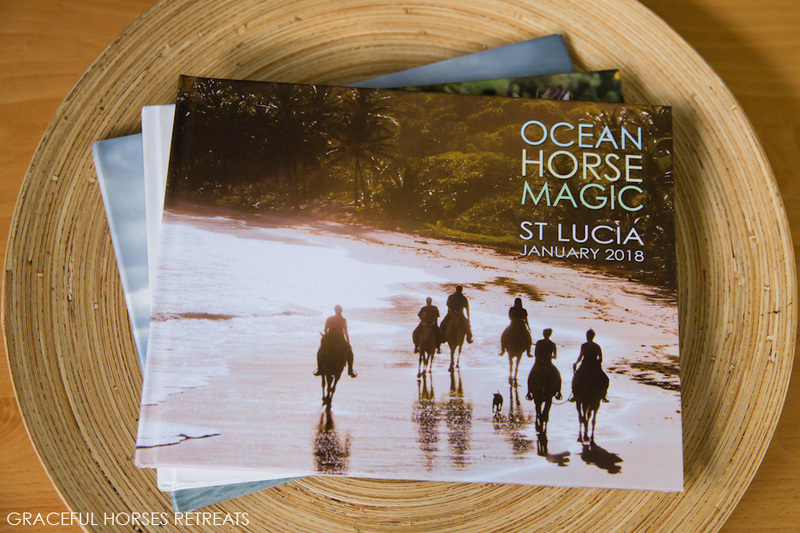 The Ocean Horse Magic retreat St Lucia was the most wonderful vacation I have ever taken! This all thanks to Manuela and her extensive planning and care of the entire experience. Starting off, I love horses and have been around them all my life but had a bad fall a few years ago and needed to get past my trauma as it was. 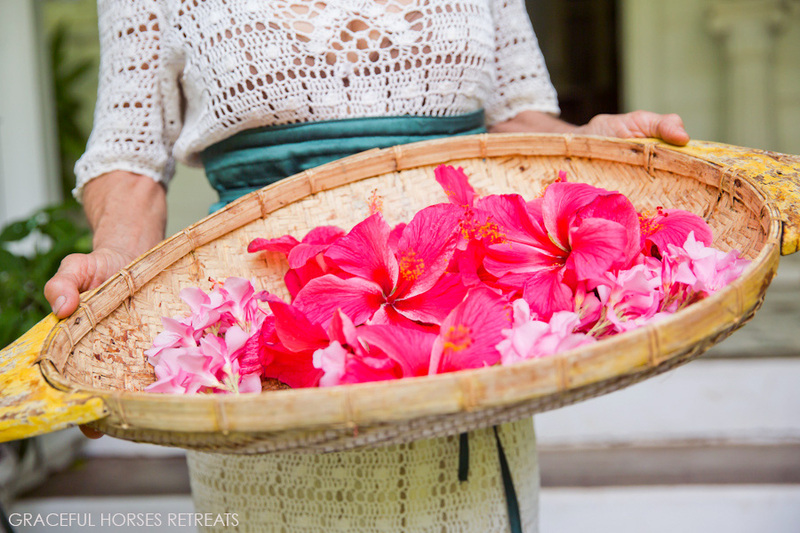 Manuela assured me that the retreat would help me through this and she was so correct! The care she put into us before, during and after the retreat was top notch. 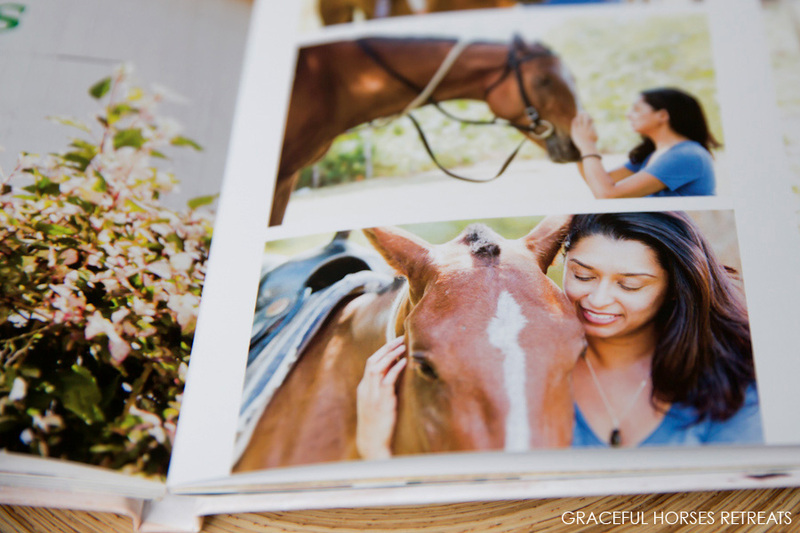 YOUR OWN COFFEE TABLE BOOK! 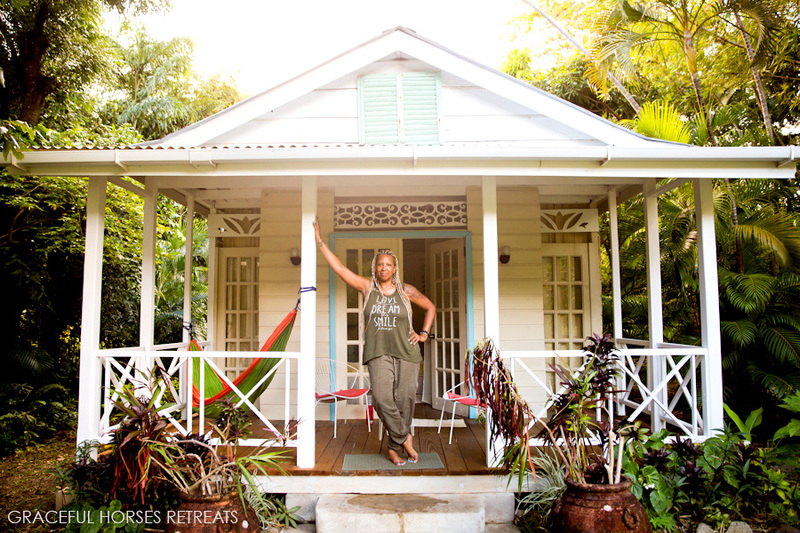 “After participating in Manuela’s very first retreat in Mexico, I did not hesitate to book her second retreat on the beautiful island of St Lucia. Manuela told me it was going to be special, so I was already expecting a lot, but she still managed to blow my mind. Very nicely put together, a good balance between horsey days and relaxing days, every day exceeding the previous one. She kept every activity a secret which I liked because it made me feel as if I was getting a present each day. 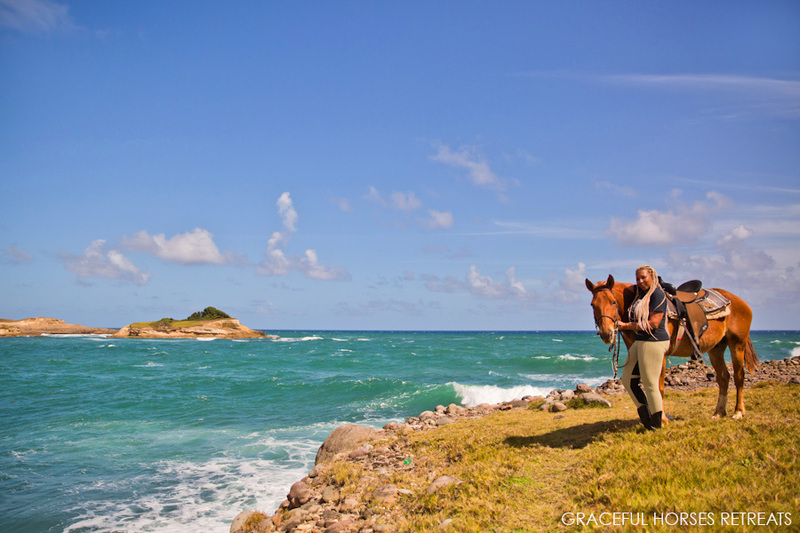 The name of the retreat couldn’t describe it better: we were in the ocean with the horses and it felt like magic! 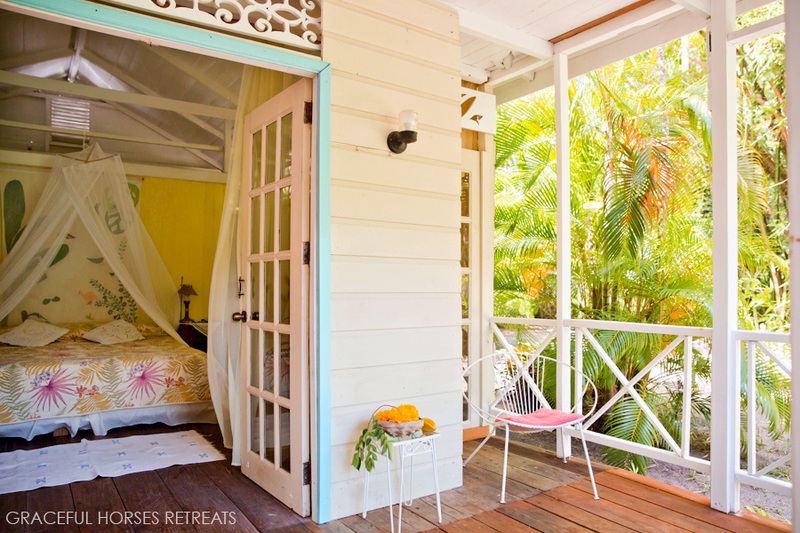 The open concept, cottage style accommodations are located on a 60 acre heritage site, organic farm, on the beautiful South-West Coast of St. Lucia. 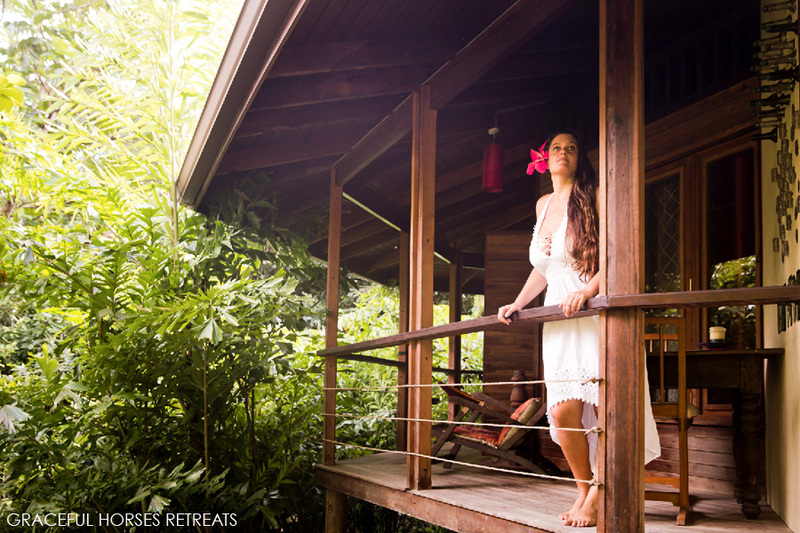 Each cottage has a unique design and atmosphere, and comes equipped with refrigerator, hot water kettle, fans, mosquito nets, bed sheets, towels, hot showers, and a place to lock valuables. 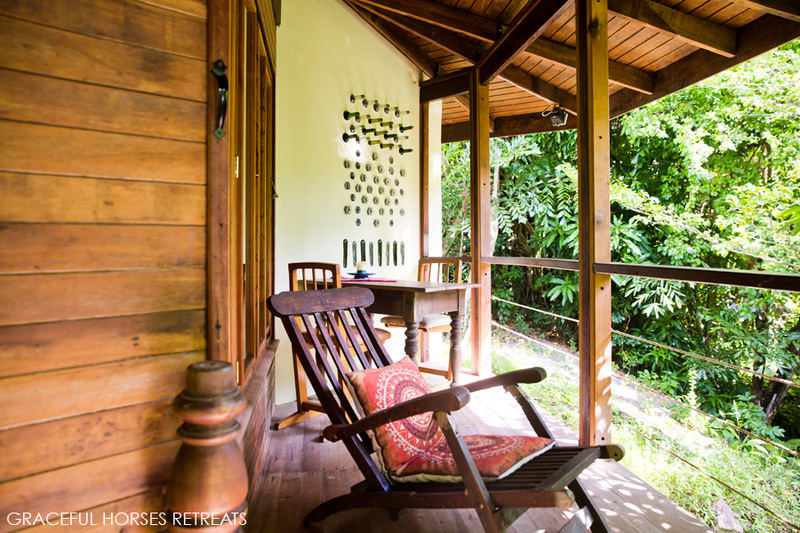 The property includes an 18th century sugar mill, an authentic plantation house, and expansive grounds with fruit orchards, pastures, lily ponds and nature trails. There are many resting areas, creative landscape features and viewing points. Natural trails run alongside the river, which once powered the sugar mill. 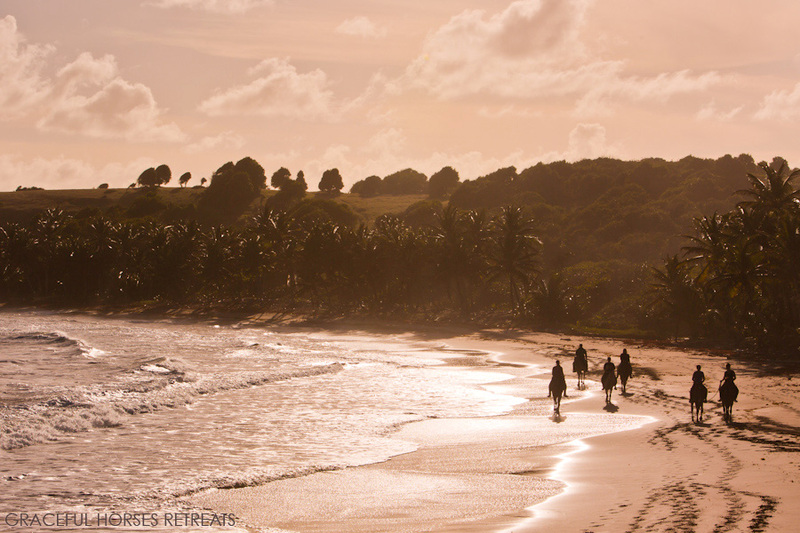 There are several secluded beaches adjoining the estate, all within a few minutes’ walk. 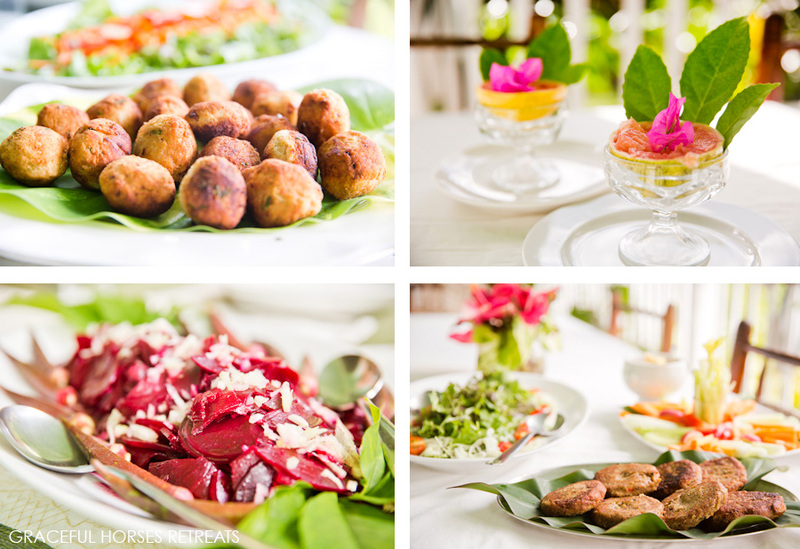 You will enjoy three organic, gourmet meals daily, prepared with fresh ingredients…and love. 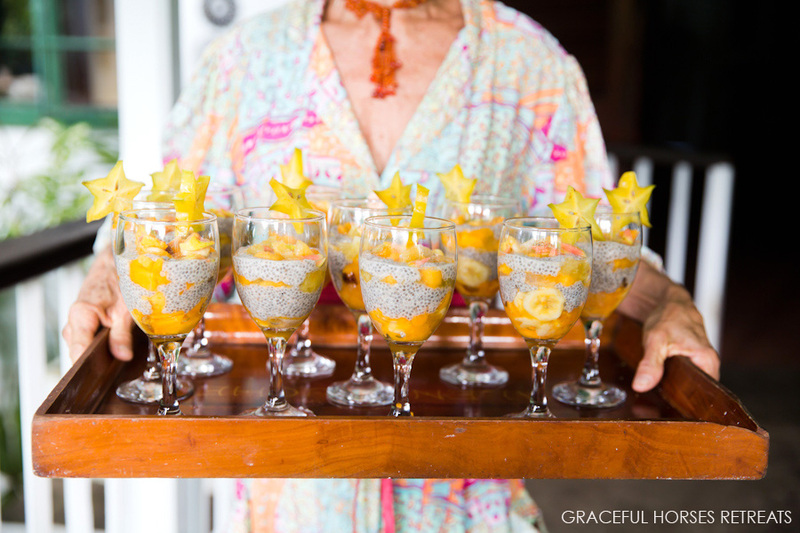 An alcoholic beverage will be included with every meal (additional beverages can be purchased individually). – You will live in a tropical, natural setting for a week, so you are advised to bring long pants and repellant. 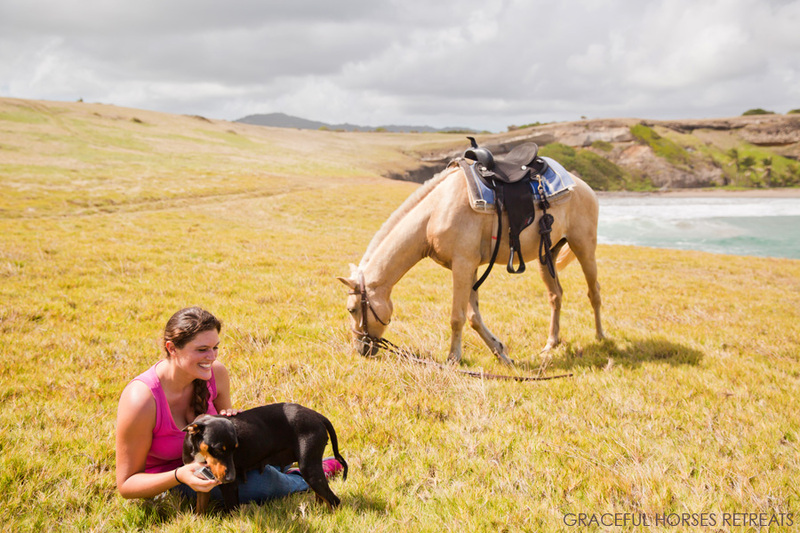 – No vaccinations are necessary when traveling to St Lucia and there few poisonous or harmful animals on the island. Some people react very strongly to insect bites, so if you are sensitive you should take precautions. 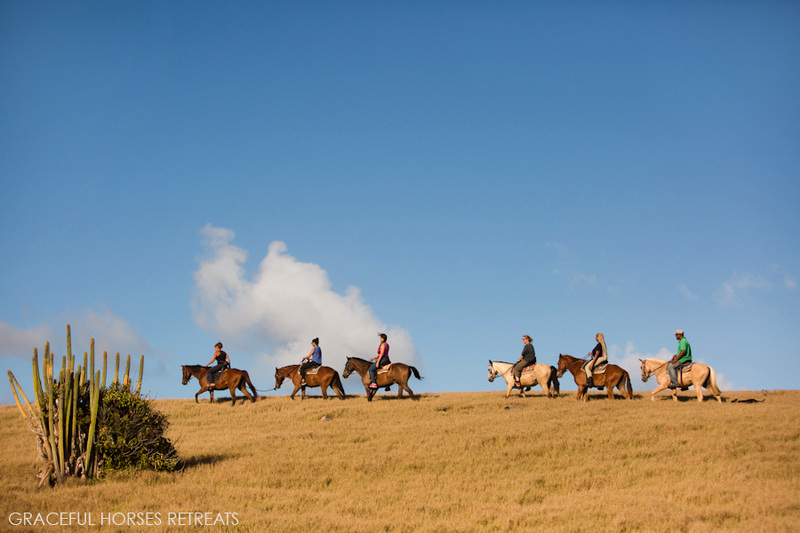 – This is an all inclusive retreat, yet gratuities are always appreciated by our hostesses, drivers and horse farm owners.